We have been there in cold advent. We didn’t expect a lot before at we got suprised daily in the 6 days we stayed. We are thankful to have stayed with Florians family and grateful about all the things we were allowed to see: their beautiful garden, animals and how their daily life is. The food was cooked by the mother of florian with heart and it was nice to eat homemade bread, soup, cheese, vegetables, jam and eggs from their chicken. Florian is really helpful. It was a great experience! What a wonderful introduction to Albania. Lovely relaxing setting with beautiful meals prepared by Florian’s mother with produce from her garden.Florian is a great host,welcoming & friendly & especially helpful with suggestions of trips & goes the extra mile to book guests requests. Guest house is about 45 mins. Walk into centre of town. Going on the small boat trip on Komani lake & swimming at River Shala or “ Hidden Paradise “ is a must. Florian and his family were very welcoming and took great care of us. The homegrown food and wine is incredible, and the atmosphere is great as you can share a beautiful dinner with Florian and the other guests. Even better, Florian personally organized an incredible 4-day hiking trip through the alps for us. 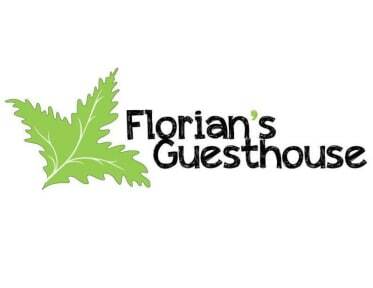 We had the Best experience at Florian’s hostel! He helped us with everything and made our stay really homey. A part from that they (his family)made us the best traditional Albanian food, really cheap and traditional wine included every night. He let us rent his bikes every day so we could explore Shkoder. The surroundings were so nice and cosy. I will recommend this place for everyone. You get a sense of peacefulness and relaxation the moment you step through the front gate. Florian and his family were lovely. Breakfast and dinner were cooked for when you so desired and Florian's father has been making wine for decades which was a perfect accompaniment to the home grown vegetables and cheeses. I took a trip to Theth which Florian organised, to a wonderful guesthouse alongside the most magical views, perfect for beginning a hike. A much appreciated stay. Everything at Florian's guest house is wonderful and I have nothing to complain about. Florian and his family are super accommodating and friendly, even offering a free personal tour of the city to guests who stay at his home. The traditional Albanian food is great and everything was homemade from ingredients that came from his garden. 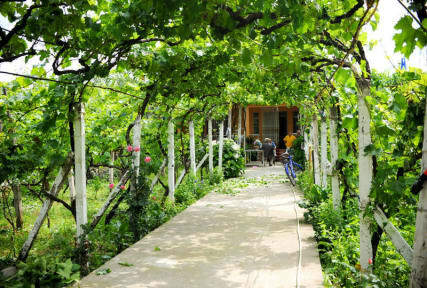 If you are looking for a real Albanian experience off the beaten trail Florian's guest house is the place for you. Amazing stay with the best dinner and wine night! Florian is a great host and will help you with anything you need. Recommend to anyone! First of all you need to know that when you stay at Florian's you're buying an experience not just a regular stay at a guesthouse. We had a delicious vegetarian dinner and winetasting every evening. All you eat and drink is from their own garden. Florian is a great host and he is genuinely intrested about his guests. The guesthouse is little bit out of the town but you can easily go to town with the bikes provided by the guesthouse. Florian arranged me the Theth-Valbona hike for a good price. Florian and his family were very nice. The food and wine were delicious. The house is lovely, outside of town but not far. Rooms and bathroom are fine. The owner is superficially friendly but very defensive. I would not suggest booking a tour with him. We asked for help to go to lake Korman and he immediately offered us an all inclusive tour. All information we got was that we will be picked in the hostel. Tour was fine but had to find out everything ourselves, there wasn’t anybody responsible around, just as if we went by ourselves but paying 40€ each.